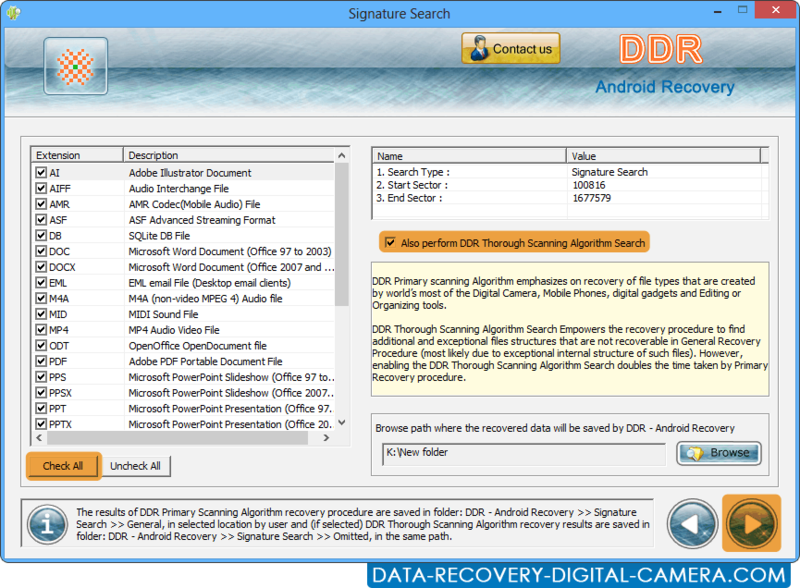 Enable check on "also perform DDR thorough Scanning Algorithm Search" for scanning disk. 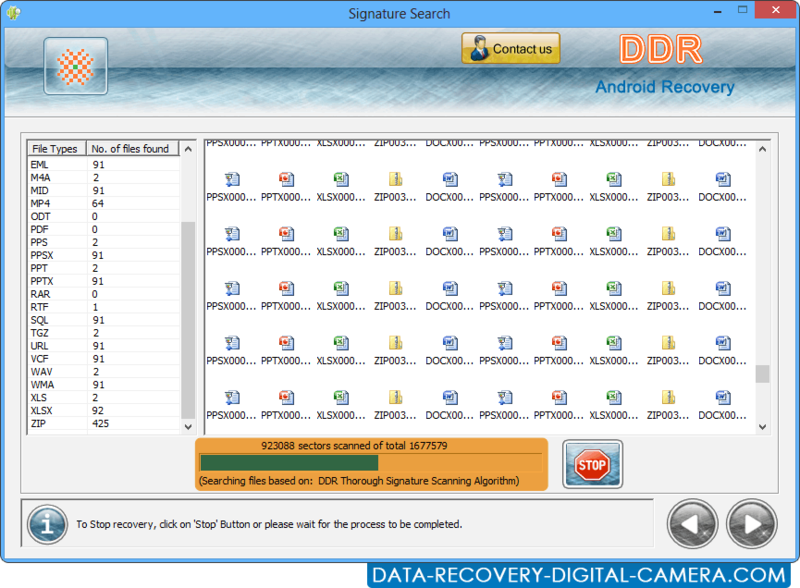 Progress bar displays completed percentage of disk sectors scanned to search missing files. 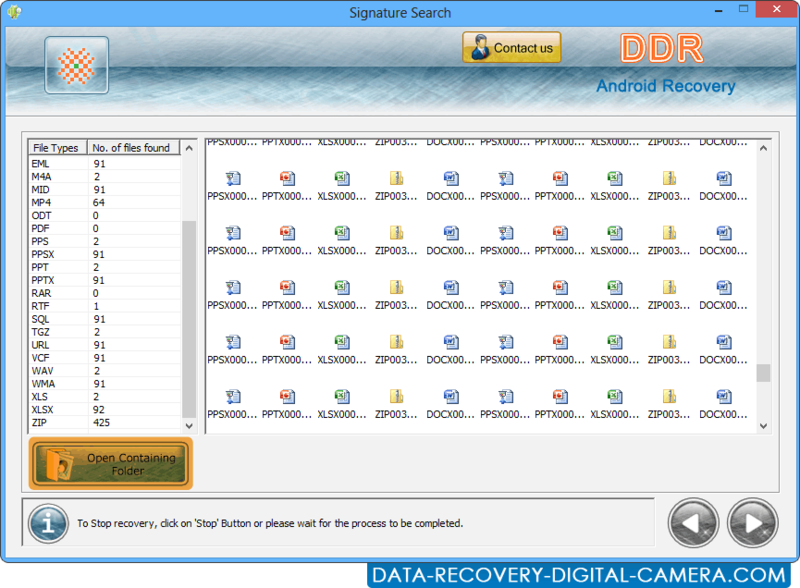 Click on Open Containing Folder to view recoverd files.